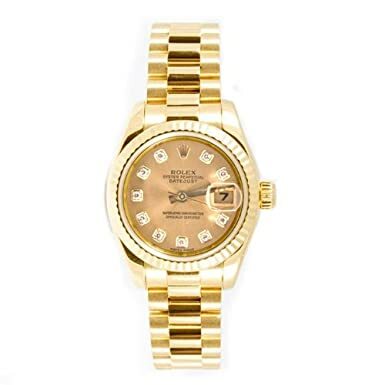 Golden watches are an excellent idea for a golden occasion. 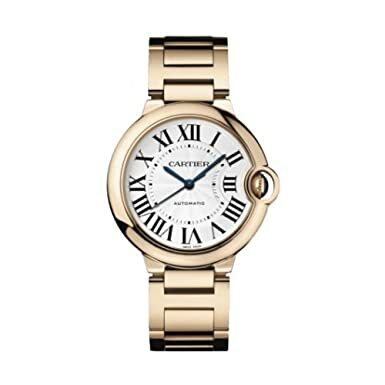 Wondering what could be the ideal watch for a woman who’s about to celebrate her 50th Anniversary? The answer, as you can imagine, is all about GOLD. We’ve done a great deal of research to find these to be the top gems listed in Amazon, where you can shop with a peace of mind, no risks. 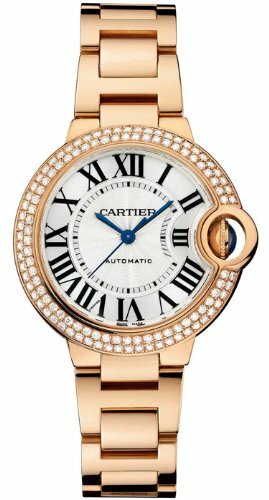 These are watches that suit sophisticated ladies proud of the 50th wedding anniversary or 50th birthday. 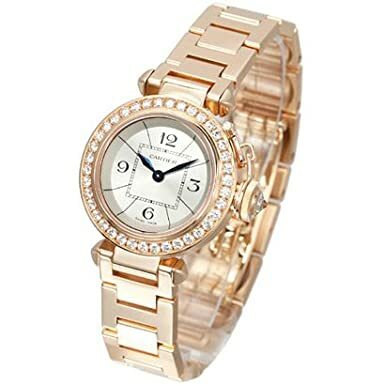 A watch makes a great gift, because it tells a great deal about how precious time is and because it’s both useful and a way to show who you are. <pstyle=”clear:both;text-align:center”>Here’s the top of the range money wise. The reason: it’s a Cartier and its 18kt solid rose gold bracelet to secure the two rows of diamonds are enough to make anyone breathless. Besides, it’s Swiss made, water and scratch resistant, and the Roman numeral hour markers make it a watch to die for. Look at it closely; it’s gorgeous and when you’ve reached such anniversary you deserve it. <pstyle=”clear:both;text-align:center”>Skip the diamonds and cut the price in half. Same watch in many ways. Self-winding automatic movement, scratch and water resistant. Sapphire crystal. And the classy Rose Gold that makes you want to bow. A pleasure to see time passing by on this gem. <pstyle=”clear:both;text-align:center”>Maybe we do want the diamonds, but just one row. And we want a more feminine arrangement and the 12, the 3, the 6 and the 9 to stand out as if they were having a dance inside the dial. Look at this one closely: it’s a high-range beauty that won’t be dismissed by any lady with great taste. 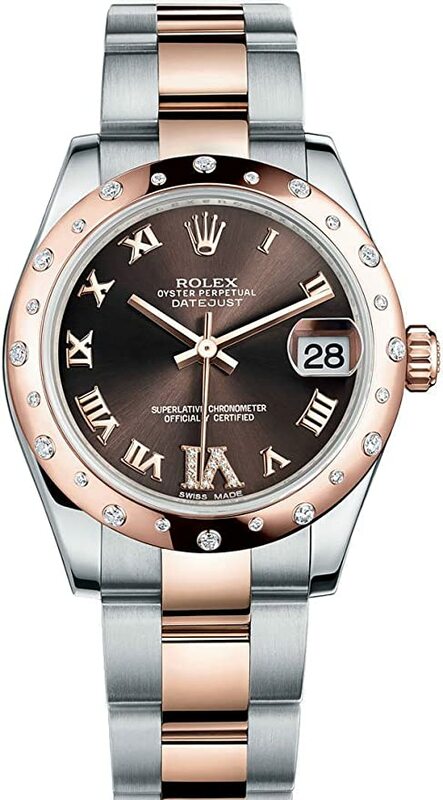 <pstyle=”clear:both;text-align:center”>A Lady President Rolex with a golden heavy band and a diamond dial may be the right choice for her. This watch has tremendous character and speaks chapters about style without being in any sense overpowering. It comes in an equally impressive box with a certificate of authenticity. Pure (and affordable) luxury. <pstyle=”clear:both;text-align:center”>If you’re looking for a more unique design, check out the diamond VI on the dial of this watch. The chocolate interior and its combination of diamonds, silver and gold make this the ultimate Golden Jubilee icon. It will be treasured for many years to come. <pstyle=”clear:both;text-align:center”>The hand-drawn 3D effect on this classic design makes this the Alice in Wonderland of the lot. 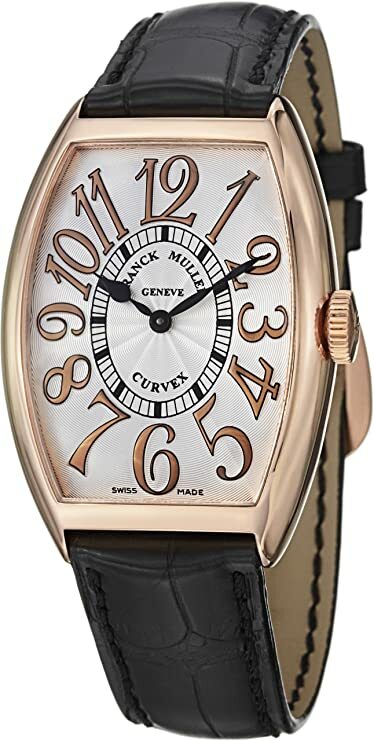 Unexpectedly, this watch is also water and scratch resistant and features a polished 18K rose gold case. Whether you like it or not you will admit this is a unique work of art and design, quirky amongst our golden watches selection. 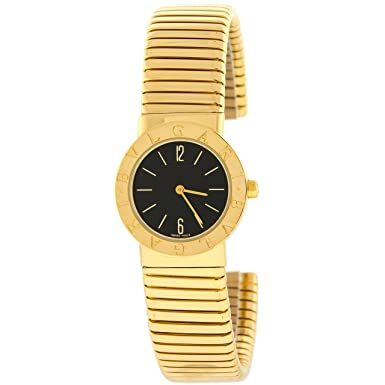 <pstyle=”clear:both;text-align:center”>Bvlgari boasts a memorable design in this contained and minimalistic golden wristwatch. The only visible numbers on the dial, the 12 and the 6, really feel like all we need when you contemplate this beauty. Take a closer look. <pstyle=”clear:both;text-align:center”>Bertolucci created the most feminine and feline of the watches on this list. Gold and diamonds massaged by a discreet black leather strap. This is a celebrity’s piece that will match with pretty much every evening dress. Beyond golden watches! <pstyle=”clear:both;text-align:centre”>Versace has its fans. We chose to include this exclusive Roman design, because its Imperial qualities are an honor for the occasion. 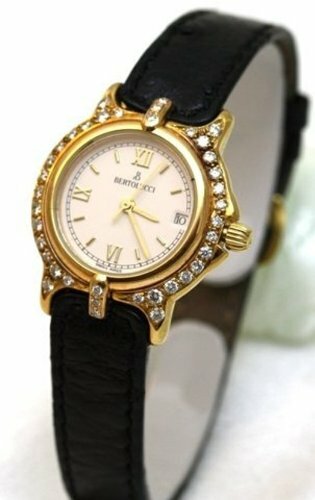 With a gold greca engraved in the center and a white shiny leather strap with crocodile pattern, v-shaped metal inserts with greca engraved, this is the watch for the Empress. 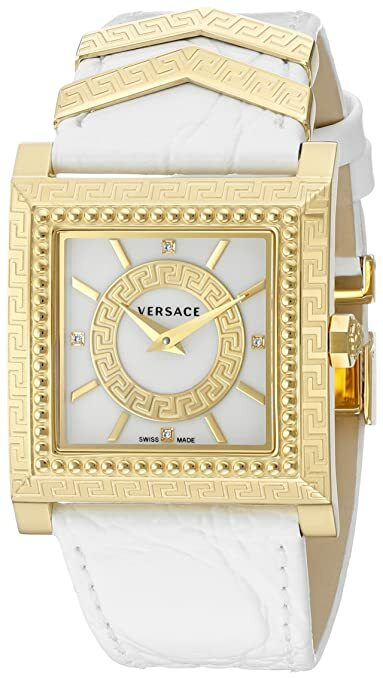 Versace knows how to produce golden watches. <pstyle=”clear:both;text-align:center”>Simple, elegant, affordable. This watch has everything you need for a perfect 50th wedding anniversary gift. 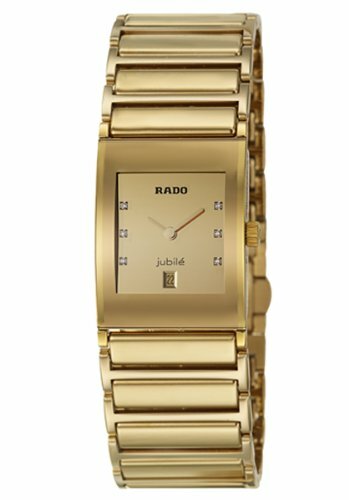 On top of that, reviews say Rado golden watches last a lifetime. <pstyle=”clear:both;text-align:center”>Luxury brands that aren’t that well-known, like Salvatore Ferragamo, make the unattainable affordable to virtually any online shopper. Can you tell that this fine watch is by far, the most inexpensive on the list? Bet you didn’t expect that. Golden watches are a must and you’ve got a premium selection above!